If you are having a problem with a wild animal, please select your Colorado city/town from the map or list above. This Colorado animal control directory lists the phone numbers of professional wildlife removal experts throughout CO. These nuisance wildlife control operators deal with conflicts between people and wildlife such as squirrels living in an attic, or raccoons digging through the trash can. Call the licensed and insured professional listed here, and get the problem taken care of once and for all. There are many Colorado pest control companies, but most of them treat for insect problems, and have little experience dealing with wild animals. Our specially trained technicians have the specific knowledge and equipment necessary for Colorado wildlife management. We are not extermination companies, we are professional Colorado trappers of wildlife. We are humane, and do a complete job - everything from animal damage repairs to biohazard waste cleanup. 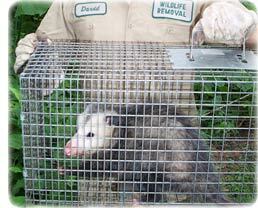 Our CO animal control experts can handle many wildlife issues. Examples include Colorado bat control and removal. It takes an experienced pro to safely and legally remove a colony of bats. The same goes for bird control, such as roosting pigeons. We know all the species of Colorado snakes, and can safely remove them. We most commonly deal with animals in the home, such as rats or mice in the attic, or raccoons in the chimney. Select your area on the map above, and find a professional in your home town. Colorado info: Our state is known for the majestic Rocky Mountains, which cover the western half of the state. The word "Colorado" comes from the spanish word for "red colored". Our state population is about 4.6 million people, more than half of which live in the Denver area. The territory was added to the United States by the 1803 Louisiana Purchase and the 1848 Mexican Cession. The Colorado Gold Rush in the 1850s brought settlers to the Denver area. Colorado became a state in 1876. The state bird is the Lark Bunting, the state animal: Rocky Mountain bighorn sheep, state fish: Greenback cutthroat trout, state insect: Colorado Hairstreak Butterfly, state flower: Rocky Mountain Columbine, and state tree: Colorado Spruce or Blue Spruce. If you need assistance with a domestic animal, such as a dog or a cat, you need to call your local Colorado county animal services or SPCA for assistance. They can help you out with issues such as stray dogs, stray cats, dangerous animal complaints, pet adoption, bite reports, deceased pets, lost pets, and other issues. We have those numbers listed here for your convenience. If your city is not on our map, consult your local blue pages. Colorado is home to most of the Southern Rocky Mountains but also shares a portion of the state with the Great Plains. This gives the region a wide variety of both flat grassland and cooler mountain terrain. The Rocky Mountains are just as described; mountains covered in loose, mammoth rocks. Some are tall enough to be capped with snow the majority of the year, and many are within reasonable climbing efforts. Interestingly enough, many of the mountains have shallow ponds at the very top, a source of water for the creatures not wishing the venture too far into the valleys. Large animals thrive in this region. The state has herds of elk, mule deer, white-tailed deer, and mountain goats. Moose and grizzly bears are also seen, though they are not as common as the abovementioned animals. Other predators in the wild include mountain lions, black bears, coyotes, wolves, and bobcats. While animals that love the mountains and the forests are in ready supply, critters that enjoy the grassy plains are also in abundance. Colorado has plenty of pocket gophers, prairie dogs, rabbits, ground squirrels, bison, badgers, and pronghorn deer. Problematic critters in the state are also numerous. 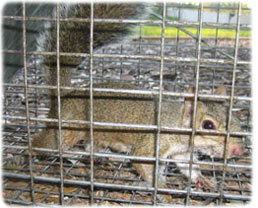 People find frequent issues with raccoons, skunks, opossums, beaver, otters, armadillos, and squirrels. There are numerous species of mice living in Colorado, another reason for homeowners to be diligent about home repair. Beaver are so numerous in Colorado that the state often warns tourists and hunters about the dangers of �beaver fever�, also known as giardiasis, intestinal discomfort caused by the microscopic organism giardia. Drinking water from a mountain stream is not advisable until you reach a certain elevation because the issue is so common. Unfortunately, Colorado is also the home to three invasive species currently giving environmental agencies a difficult time. Zebra and Quagga mussels have invaded lakes, and rusty crayfish are infiltrating streams. The New Zealand mudsnail is also non-native, and no one knows how it arrived in Colorado. The mudsnail moves easily between bodies of water by attaching to boats and then upsets the ecosystem by eating aquatic vegetation. The mollusks are tiny, and the Colorado Department of Fish and Game asks boaters and swimmers to clean their equipment thoroughly after use, allowing it to dry in the sun for 10 days between uses in different water beds. FORT MORGAN, Colo. - Dan The Colorado Animal Control Man walks through thigh-high weeds along the South Platte River, shiny badge on his chest and handgun on his hip as he watches for hunters. It's a long way from Cleveland for this self-described big-city boy, who is nearing the end of 10 months of training and will soon become one of six new district managers with the Colorado Division of Wildlife. "It's the best thing that's happened to me," The Colorado Animal Control Man, 25, said during a recent ride-along with a veteran in the division. These days, however, his passion is shared by fewer and fewer people. Wildlife agencies across the country are struggling with a combination of rising retirements and declining interest in their jobs among young people seemingly disconnected from hunting, fishing and rural life. According to the latest statistics available from the federal Government Accountability Office, by 2012 the Interior Department will lose 61 percent of its program managers, the Environmental Protection Agency will lose 45 percent of its toxicologists, and the Forest Service will lose 49 percent of its foresters and 61 percent of its entomologists at a time when Western forests are being ravaged by bark beetles. The declines come as natural resource managers are juggling more and frequently conflicting demands, including more wilderness vs. more trails for off-road vehicles and a push for greater gas and oil development vs. the preservation of wildlife habitat. "We now have more people and greater opportunity for human interaction with wildlife. We need the brain power to examine and manage that," said Ryan Colker, programs director for the Renewable Natural Resources Foundation, which includes scientific, education and professional groups. When he was hired in 1983, Dave The Colorado Pest Control Advocate, head of training for the Indiana Department of Natural Resources, was one of about 1,200 applicants. The number now is about half that, said The Colorado Pest Control Advocate, president of the international Association of Natural Resources Enforcement Trainers. "I don't think it's a crisis," The Colorado Pest Control Advocate said of the decline. "But I think it's a concern." Universities and other organizations are searching for ways to spark interest. Enrollment in the fish and wildlife program at Colorado State University has decreased 25 percent since 2001. There were 313 students last fall. "It really is a paradox, with students caring more about the environment, and yet there's a drop," said Joyce The Colorado Animal & Reptile Expert, dean of CSU's Warner College of Natural Resources. She chalks it up in part to less interest in government jobs because of slumping agency budgets and salaries, but she said a cultural shift also is at work. "More people used to come from rural areas and had fishing and hunting backgrounds. Now, it's much more urban," she said. What hooked The Colorado Animal Control Man, a graduate of Hiram College in Ohio, was a trip out West and working a summer as a ranger in Yellowstone National Park. He and five others in the wildlife division's training program will find out this month where they will work in Colorado. "It's just been jam-packed with the training," said The Colorado Animal Control Man, whose education included wilderness survival techniques. "It's a whole different world out here. I love it a lot."